We've been warning about this moment since the first day TruePublica went online. We said that the government would eventually take the biometric data of every single citizen living in Britain and use it for nefarious reasons. DNA, fingerprint, face, and even voice data will be included. But that's not all. The government's face database already has 12.5 million people - or so it has admitted to. The Home Office, embroiled in all sorts of privacy and surveillance legal cases caused a scandal last April when an official said it would simply be too expensive to remove innocent people from its criminal face databases of mugshots. Without proper, enforcible regulation that can be fully scrutinised by civil society, there are many opportunities for the misuse of biometric data. It means nothing when the Home Office says its collection of biometric data will be "lawful," when it is found by the highest courts in both Britain and the EU of breaking basic surveillance and data protection laws. And what laws there are, remain deliberately ambiguous on how they will ethically collect, store, or share biometric data. 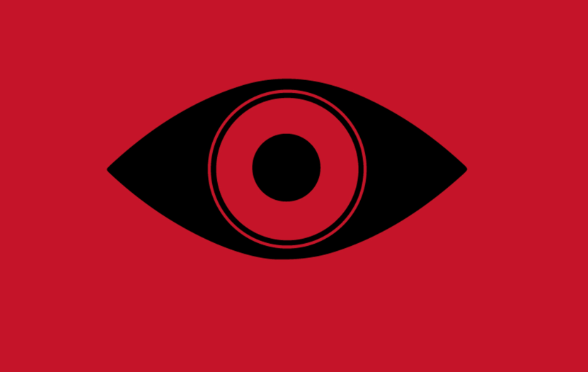 Big Brother Watch recently released a report detailing a staggering 90% false positive rate for its face recognition systems and then went on to describe the Home Office defence of these systems - "misleading, incompetent and authoritarian." The fact that on Remembrance Sunday 2017, the Metropolitan Police used automated facial recognition to find so-called ‘fixated individuals' - people not suspected of any crime, but who might be suffering mental health issues, should be a wake-up call for us all. TruePublica has just reported on one local authority in Thurrock using databases and algorithms to deliver public services. More particularly it is surveilling its own systems and citizens to pinpoint and target certain families, vulnerable people, the homeless and anti-social behaviour. The system is called a "predictive modelling platform" and was only revealed through a freedom of information request by a local journalist. The warning we gave was that it wouldn't be that long when all citizens will be given such scores by local councils, local authorities, the police and various other government agencies. The speed of implementation has surprised even us though. One should not forget that there are 78 high profile government agencies and a further 401 public bodies closely associated with them. However, there is a dark side to this. TruePublica warned two years ago that social scoring systems were on the way. We wrote in 2016 and then again in early 2017 as a result of an in-depth report by Civil Society Futures regarding a new wave of surveillance: "Citizens are increasingly categorised and profiled according to data assemblages, for example through data scores or by social credit scores, as developed in China. The purpose of such scores is to predict future behaviour and allocate resources and eligibility for services (or punishment) accordingly. In other words, rules will be set for citizens to live by through data and algorithms." The government is now building, without debate such a system for all of its agencies to access and input. Once complete the next step will be to ‘manage' population behaviour through social credit scores. Current common forms of biometric data collection include - fingerprint templates, iris and retina templates, voiceprint, 2D or 3D facial structure map, hand and/or finger geometry map, vein recognition template, gait analysis map, blood DNA profiles, behavioural biometric profiles and others. In the meantime, biometric data will not be secure. It never can be, especially in the hands of the government. That's because the hacking industry, already costing a mind-blowing $1.6 trillion annually across the world is expected to reach $2.1 trillion in just 3 months time. That's the sum spent fighting off cyber-crime, not the sum spent of conducting it. Identity theft directly affected 174,523 individuals in Britain last year - an increase of 125 per cent in little more than ten years. The authorities have simply been unable to stop this inescapable rise. Recent research has found that fraudsters operating on the dark web can buy a person's entire identity, everything, the lot, for just £820. At that point your bank accounts are emptied, credit cards maxxed out - the horrendous list goes on. £4.6 billion was stolen in cyber-crime from Brits last year. And how easy is that theft going to be? Edward Snowden, a third-party contractor for the NSA stole 58,000 files from GCHQ sitting at his desk in Hawaii and then calmly flew off to Moscow for protection against the USA/UK. If GCHQ can have such sensitive information so easily stolen, that they claim is of national security, what guarantees can the government give that your biometric data will be safe? The short answer - is they can't. "The Government's biometrics strategy is a major disappointment. After five years of waiting, it reads like a late piece of homework with a remarkable lack of any strategy. Meanwhile, the Met today is surveilling Londoners with facial recognition cameras that they have no legal basis to even use. The situation is disastrously out of control."